The first volume kicks of with some of Barks’ most popular stories from the period 1948 to 1950, including “Lost in the Andes”, “Race to the South” and “The Golden Christmas Tree”. Following the success of BOOM! 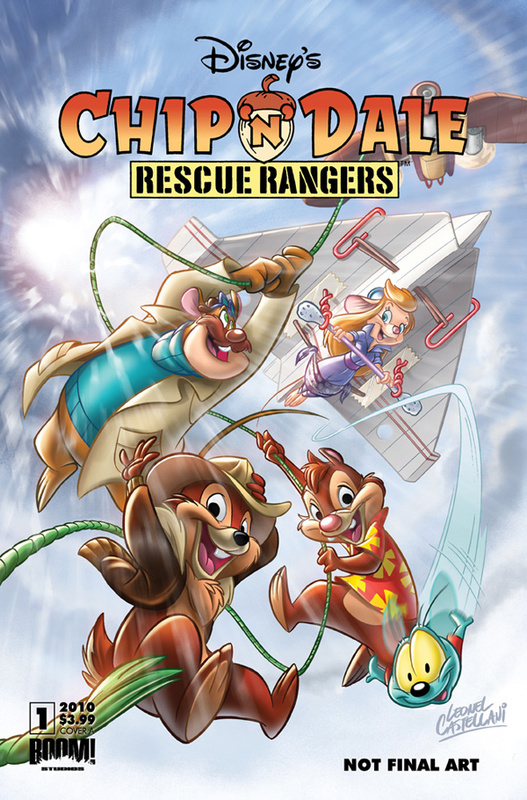 Studios’ bestselling Darkwing Duck series, the publisher is launching a new original ongoing series based on the 1990s Disney Afternoon animated TV show Chip ‘n Dale Rescue Rangers. 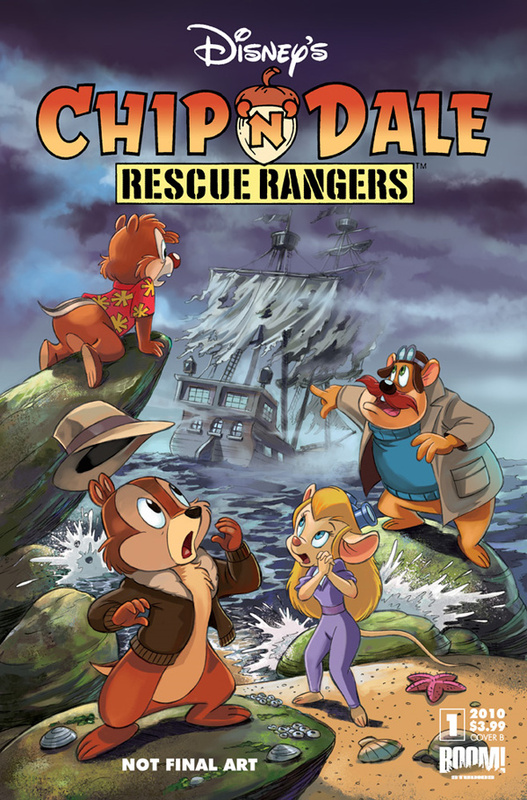 The new series, which can be pre-ordered here, will debut in December and will feature all-new adventures written by Ian Brill with art by Leonel Castellani. Preview of Boom! Studios’ new collection of the Life and Times of Scrooge McDuck by Don Rosa! Yesterday Boom! 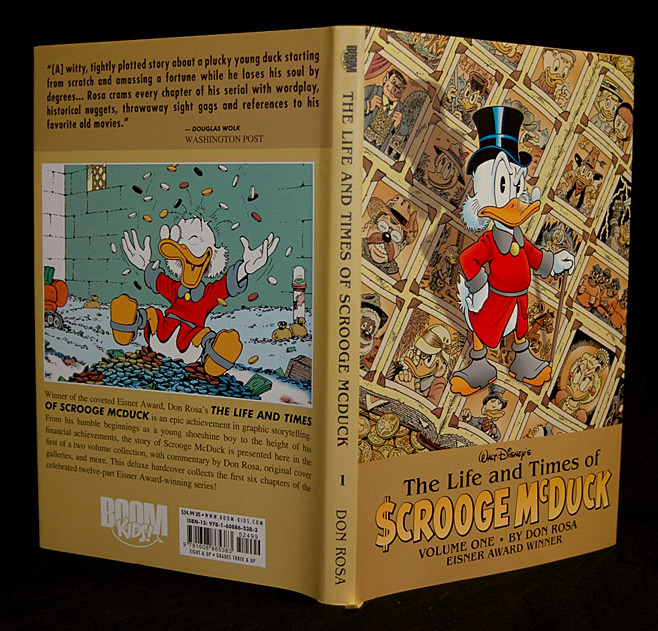 Studios released the first book collecting Don Rosa’s legendary epic story The Life and Times of Scrooge McDuck. The hardcover album ($16.49 at Amazon) was released earlier than expected, but in case you haven’t seen it yet here are some pictures of this fabulous new book. Boom! Studios in the United States is launching two new monthly series this month: Wizards of Mickey and Disney’s Hero Squad. 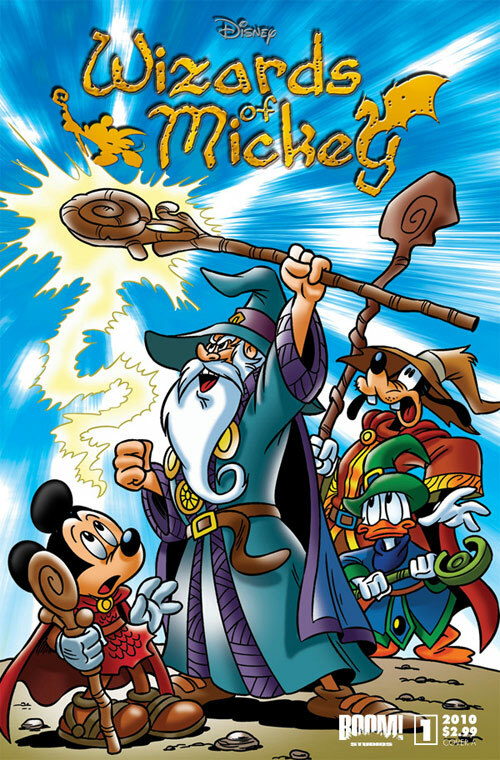 Wizards of Mickey #1, on sale January 27th, will continue the epic tale of magical adventure that was started in Mickey Mouse & Friends issues #296 – #299. The stories proved popular enough to garner its own stand alone series. 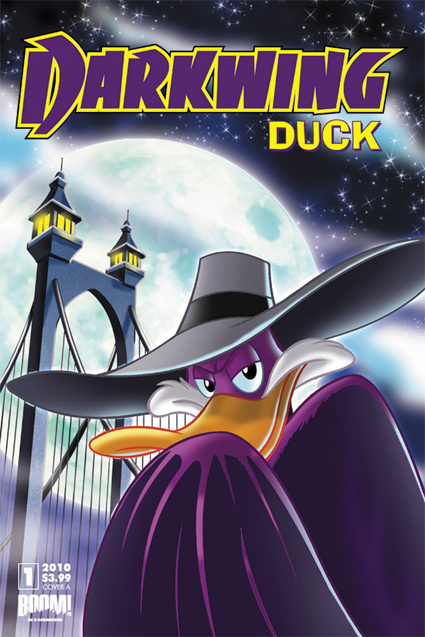 Wizards of Mickey follows the adventures of Mickey Mouse, Donald Duck and Goofy as they compete in the Grand Wizard's tournament, determined to win all the pieces of the Sorcerer Supreme's crown and free Mickey's master from the clutches of the evil Phantom Blot! You can pre-order Wizards of Mickey #1 for $2.39. 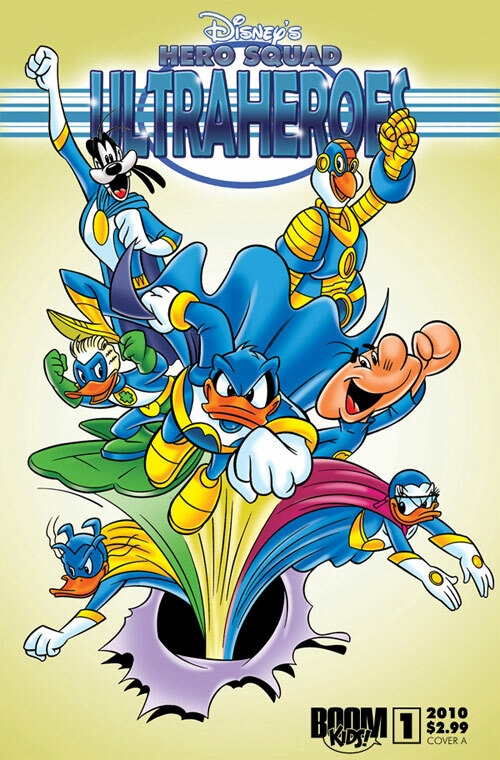 Disney’s Hero Squad, which will also go on sale on January 27th, continues the Ultraheroes stories that were started in Walt Disney’s Comics and Stories #699 – #702. The series features Super Goof, Duck Avenger, Eega Beeva, The Red Bat and more coming together as Disney's mightiest band of heroes, ready to stomp out the bad guys wherever they may lurk! Pre-order Hero Squad now for $2.39. "The fan response to Wizards of Mickey and Disney’s Hero Squad has been completely insane," says BOOM! Disney Editor Aaron Sparrow. "These characters have reached a whole new audience, and fans, old and new, have clamored to have these stories in their own dedicated series. Well, you demanded it and we delivered." 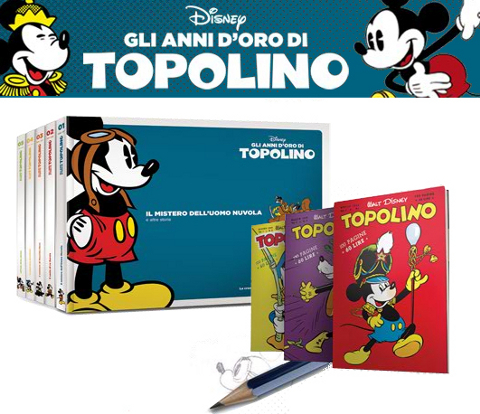 So what will happen to Mickey Mouse & Friends and Walt Disney’s Comics & Stories? 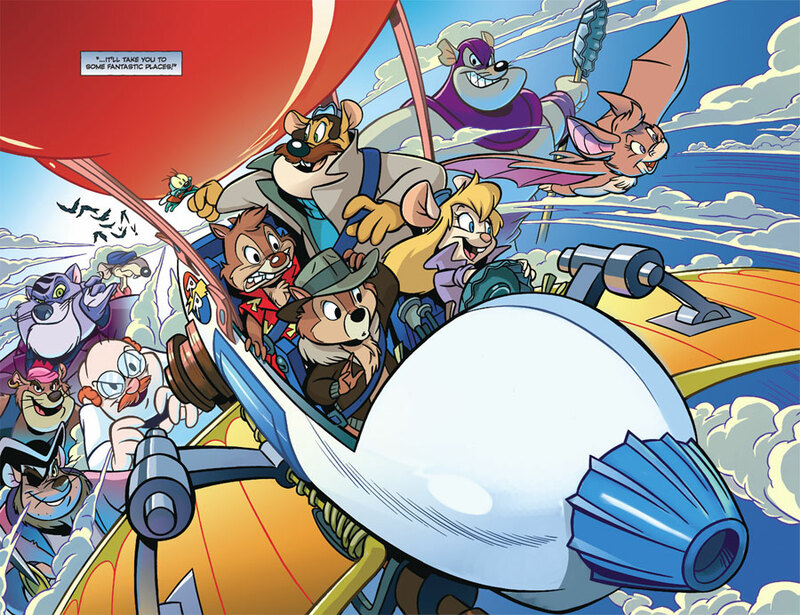 The first one will take a break for a while as Boom prepares the next wave of Mickey Mouse stories. This will delay the series milestone #300 issue, which would have been next. 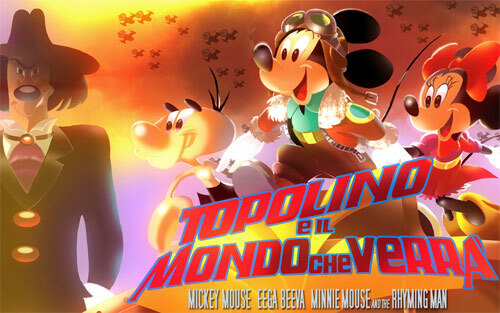 Comics & Stories #703 will see the debut of a new series by Italian artist Casty titled “Mickey Mouse and The World to Come” (I TL 2721-3P, “Topolino e il mondo che verrÃ “). For a preview of Casty’s work see this fan-made website about his work. I picked up a copy of Disney twenty-three today at Barnes and Noble (where I was pleased to also find all of Boom’s Pixar comics). I thought that the magazine was exclusive to members of the D23 community, but apparently they also sell it to regular people. It’s a huge magazine (11 by 12 inches) with 60 beautiful glossy pages full of large photos and interesting articles about everything Disney in the style of Disney Magazine (†2005). 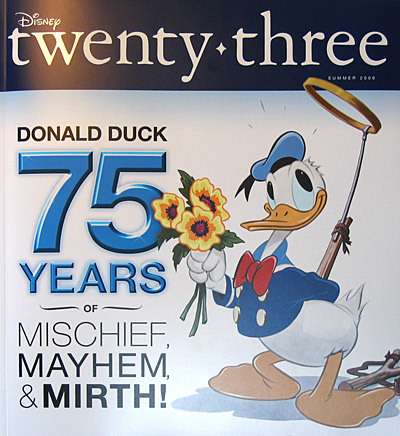 The cover story of the new magazine’s second issue is about Donald Duck’s 75th anniversary. There’s a 10-page article covering his origins and cartoon career. 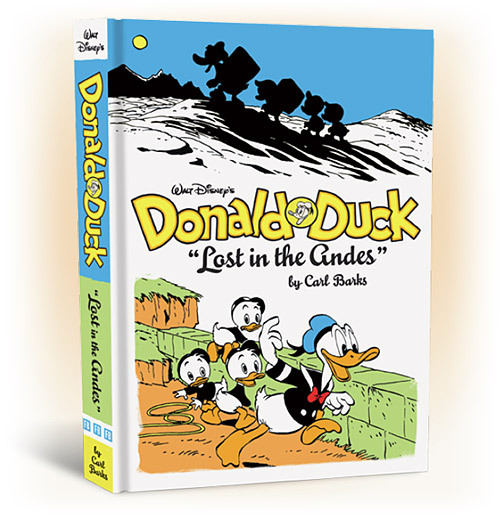 Unfortunately, there’s hardly any mention of Donald Duck in the comic books. The article basically skips all this and jumps right from the 1940s cartoons to his appearance in Fantasia 2000, the video game Kingdom Hearts and the Mickey’s PhilharMagic attraction at Walt Disney World. 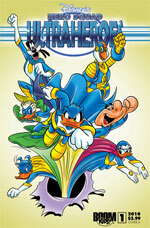 The back inside-cover of the magazine does feature three vintage newspaper comics with Donald, Mickey and Bucky Bug. 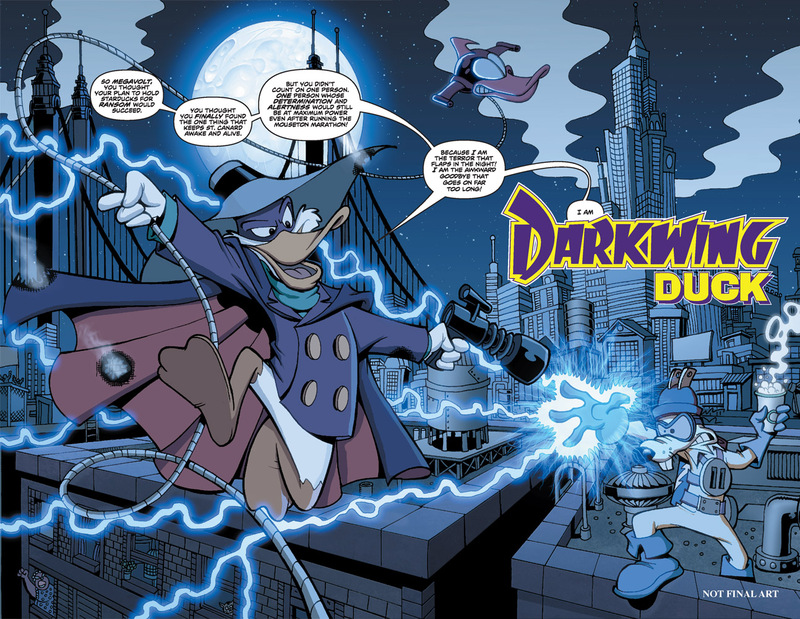 More attention to the comic books is given on the website of D23 in this article about Huey, Duey and Louie, which was apparently written by comics writer and editor David Gerstein.